Dr. Sean R. Brown B.Sc., B.S., D.C.
Dr. Sean Brown has been practising Chiropractic in Newcastle since 2002. After marrying Dr. Waisze Brown in 2006, they opened Brown & Brown Family Chiropractic Centre the same year. Dr. Brown received his chiropractic degree from the National University of Health Sciences. He graduated top of his class and was honoured with being the Valedictorian of the Class of April 2002. Dr. Brown is certified in the Cox Technic used to relieve and control spinal conditions from disc herniation and stenosis to sprain/strain and other issues. He is also trained in Basic Acupuncture and Meridian Therapy and is a Shift Concussion Management Program Provider. Dr. Brown is well educated in the importance of proper nutrition as it relates to health, healing and pain control. He has a strong background in physiological therapeutics, specializing in personalized rehab programs. Dr. Brown is a Certified Golf Fitness Instructor, allowing him to assess physical weaknesses as it relates to the golf swing and prescribe sport specific exercises to improve your overall golf game. 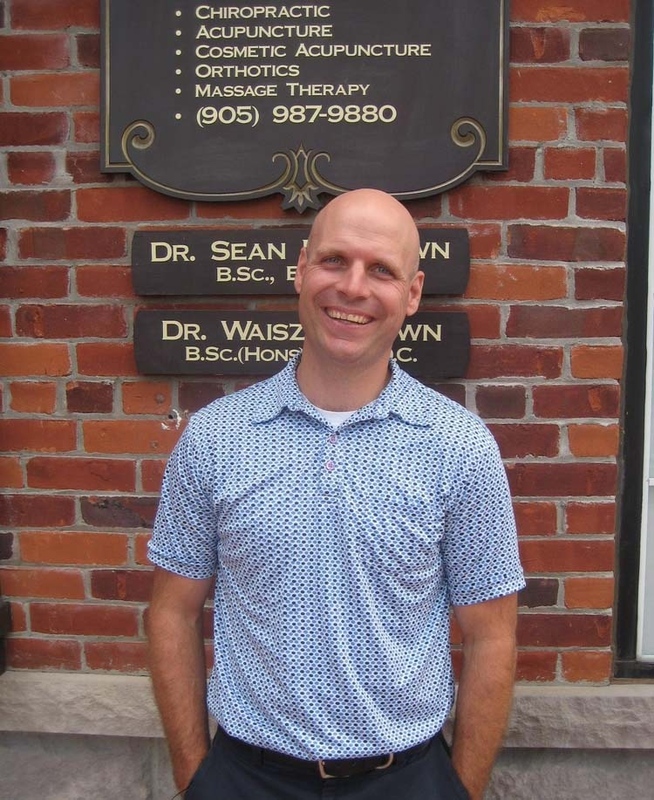 Dr. Sean was born and raised in Bowmanville. Throughout his childhood he participated in local sports playing rep. soccer, baseball and hockey. He played one year with the Jr. C Bowmanville Eagles winning Rookie of the year. He attended the University of Western Ontario where he acquired a Bachelor of Science degree. He now lives in Newcastle with his wife Dr. Waisze and their three children Jaiden, Lexie and Oliver. Dr. Brown still has a passion for all sports but none more than golf. He has been a member at Newcastle Golf and Country Club since he was 16 years old. Dr. Brown has seven hole-in-ones including the par four 10th hole and the par four 15th hole at Newcastle Golf Course. Dr. Waisze Brown B.Sc. (Hons), B.S., D.C. Upon graduating with a Honours Bachelor of Science degree in Pharmacology from the University of Toronto, Dr. Waisze Brown met a recruiter from a chiropractic school and learned that the chiropractic profession encompassed many areas of strong personal interest that would soon lead her to pursue chiropractic as a career. Having never been exposed to chiropractic before, she was excited to learn that there were many facets to be found in the field, including taking an active approach towards your health, treating with the aid of exercise and nutrition, and the ability to work with sport injuries, pediatrics and geriatrics. She began to shadow a chiropractor which only strengthened her interest and soon after, attended the National College of Chiropractic now known as the National University of Health Sciences in Lombard, Illinois. As Dr. Brown went through chiropractic school she met her future husband Dr. Sean Brown. She graduated as Valedictorian of her class, like he did of his. After graduation, Dr. Brown spent a few years working in Harrisburg, Illinois as well as Raleigh, North Carolina as an associate gaining valuable experience towards patient care and towards managing her own clinic in the near future. In 2005, Dr. Brown moved back home to Ontario. Together with Dr. Sean Brown, Brown & Brown Family Chiropractic Centre was opened in 2006 and she has thoroughly enjoyed helping the community restore their health and function through a safe, natural and conservative approach through chiropractic and acupuncture care ever since. Dr. Brown is a Fellow of the International Academy of Medical Acupuncture (FIAMA), trained in Basic Acupuncture and Meridian Therapy, certified in the Cox Distraction Technique (a non-surgical technique used to relieve back and leg pain), the Webster Technique (used to restore proper pelvic balance and function during pregnancy), a Certified Strength and Conditioning Specialist (CSCS), and a Shift Concussion Management Program Provider. 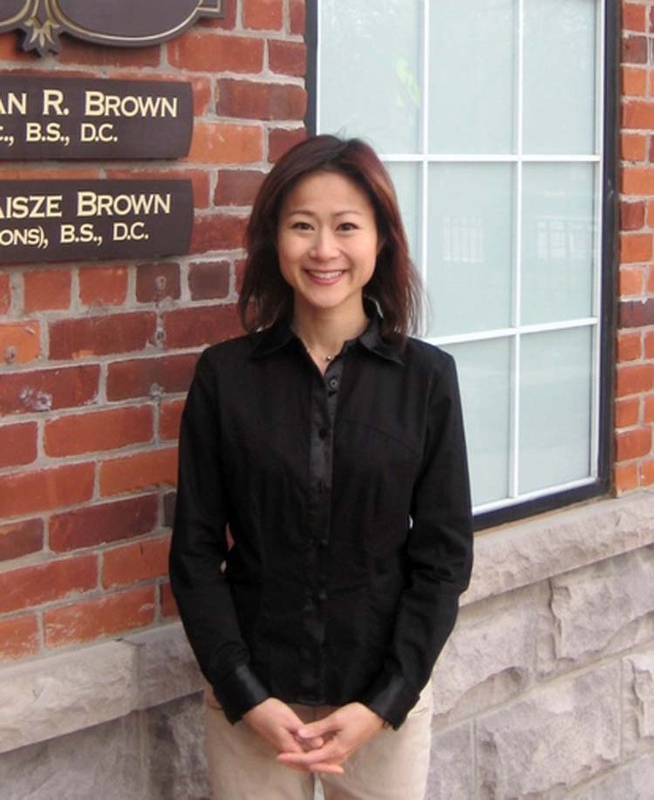 Dr. Brown is an active member of the Ontario Chiropractic Association (OCA), the Canadian Chiropractic Assocation (CCA), and the Acupuncture of Ontario (ACO). Dr. Brown continually seeks to grow and gain knowledge with continuing education seminars to be able to better serve her patients and to provide the most effective care possible. Outside of the office, Dr. Brown likes to keep active by looking after their three young children but also with working out and running regularly. She enjoys cooking and trying different recipes on her family and friends, shopping, and going out for the occasional round of golf.